A former officer in the Army Cadets who "systematically" abused young trainees has been jailed. George Walker, 80, attacked boys in his charge while serving as a lieutenant and later a captain in the Army Cadets in Burnley and Haslingden in the 1970s. Lancashire Police said the boys had "lived in torture" since the abuse. He admitted 19 counts of indecent assault and one of gross indecency at Burnley Crown Court and was sentenced to eight years four months in prison. A police spokesman said Walker, who is currently serving five years three months after being convicted in 2017 of abusing two other cadets, had befriended the boys and their families and used the opportunity to "systematically sexually abuse them". 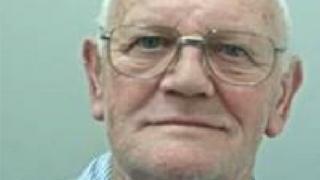 He added that the 80-year-old's previous conviction had prompted four men to come forward to report abuse. Det Sgt Mark Holland said those who had contacted police had been "extraordinarily brave to come forward and... be prepared to face their abuser in court". "These boys have described how they have lived in torture after what Walker did to them all those years ago," he said. "I hope this sentence can help them somehow move forward with their lives."